Pattan: When flames engulfed the Government Boys Middle School, Tapper in north Kashmir’s Pattan area, men in the neighbourhood attempted firefighting with bucketfuls of water. But the fire spiralled out of control, reducing the building to ashes within minutes. "The fire came to our notice in the night. After a massive uproar, villagers tried to douse the blaze, but the flames engulfed the entire premises within minutes. 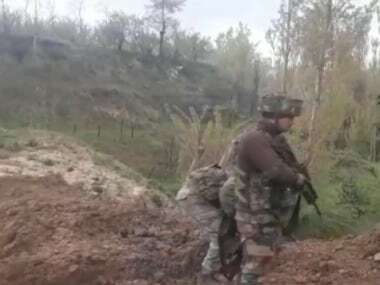 We helplessly watched it burn to the ground," Fayaz Ahmad Chopan, a resident of Tapper village, 35 kilometres north of Srinagar, told Firstpost on Thursday morning. More than five hundred students of Tapper and adjoining areas are enrolled in this school. It's early in the morning, and students, mostly children, have gathered in the premises of the school, looking sadly at the destruction. Smoke still emanates from the burnt cupboards, half burnt chairs and tables. The chairs in the Principal's office have turned into a frame of charcoal. Nida Hamid, a Class 6 student of the school, can identify her classroom, even her desk which has been charred beyond repair. Along with her friends, she had recently visited the school which has remained closed since July 9. “This used to be my classroom. There is my desk but it is gone now," the 13-year-old told Firstpost. 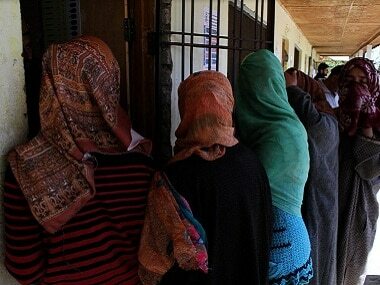 In the last six days, six schools have been reduced to ashes in the Kashmir Valley. According to officials, 21 schools have been burnt to ashes or damaged mysteriously during the on-going unrest. Schools and other educational institutions in Kashmir have been shut since the killing of Hizbul Mujahideen commander Burhan Muzaffar Wani in July. Students have not attended schools for nearly four months now. The unrest has killed 94 civilians and two security forces personnel while more than 14,000 have been injured. The police have arrested 7,000 protesters so far. Director General of Police, K Rajendra Kumar told Firstpost that the Kashmir Police is pursuing these cases and trying to identify the miscreants behind the incidents. "First it is a matter of concern for all of us because it will affect the education of our children. We are in the process of putting in place security patrols around school buildings to ensure such incidents are not repeated," Kumar said. However, the DGP says that there are thousands of schools in the Valley, and it is nearly impossible to guard all of them, "so the locals have to take the responsibility of protecting schools in their neighbourhood". No one seems to have any idea who is burning these schools, and why. In the last three months of unrest in Jammu and Kashmir, three higher secondary schools, eight high schools, eight middle and primary schools and one Jawahar Navodaya Vidyalaya school have been damaged. State education officials say more than 6,000 students are enrolled in these schools. 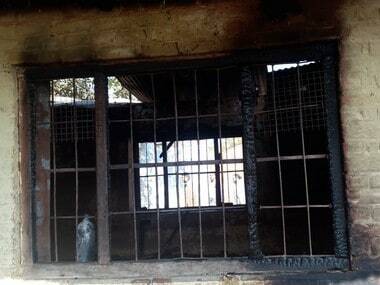 Director of School Education, Kashmir, Ajaz Ahmad, told Firstpost that on an average, a school is being burnt by miscreants every week and his department has increased the number of night watchmen in schools to prevent such incidents. "These attacks started some six weeks back and police is trying to find the culprits behind them. For the moment we have no idea who is doing it," he said. Such incidents are now being reported with increasing frequency after the state government decided to go ahead with the exams in November, ignoring the students' pleas that they haven't been able to cover even half of their syllabus. 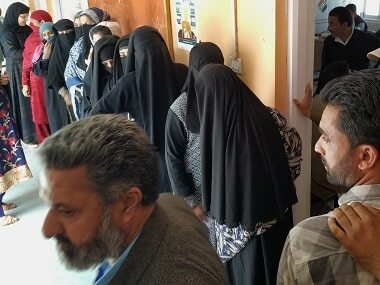 The students and the Hurriyat as well as school heads are opposing the move. 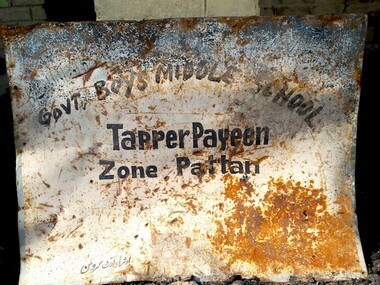 The damaged signboard of Government Boys Middle School, Tapper in north Kashmir’s Pattan area. Pic courtesy: Sameer Yasir. Naeem Akhtar, Minister of Education, J&K, said recently that the damage to schools is "not just burning of an institution but it is a colossal loss for the entire society". "The biggest causality has been the loss of human lives which is irreparable. We cannot bring them back but we can save our future generation," said Akhtar. Now, Syed Ali Geelani, chairman of his faction of Hurriyat Conference, has asked people to remain vigilant about such mysterious incidents. “Recently in different areas, schools and private vehicles have been burnt and we have reports that culprits do so in the vicinity of police, and under their watchful eyes," Geelani-led Hurriyat Conference said in a statement on 26 October. 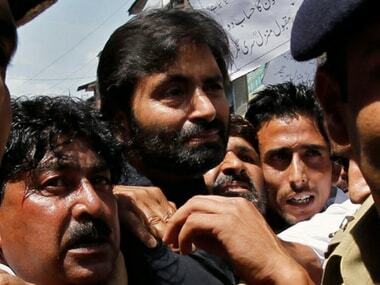 The Hurriyat Conference said that the "unknown" label is a "misnomer and these anti-people and anti-social actions are carried out in broad daylight with a well-planned strategy to malign the on-going movement and paint it with violence and anarchy”. But the bigger question remains. Who will benefit out of razing the educational institutions to the ground? "We will never forget the people who died. For the good of all we have to proceed constructively and dialogue is the only way forward," Akhtar, the education minister, said.